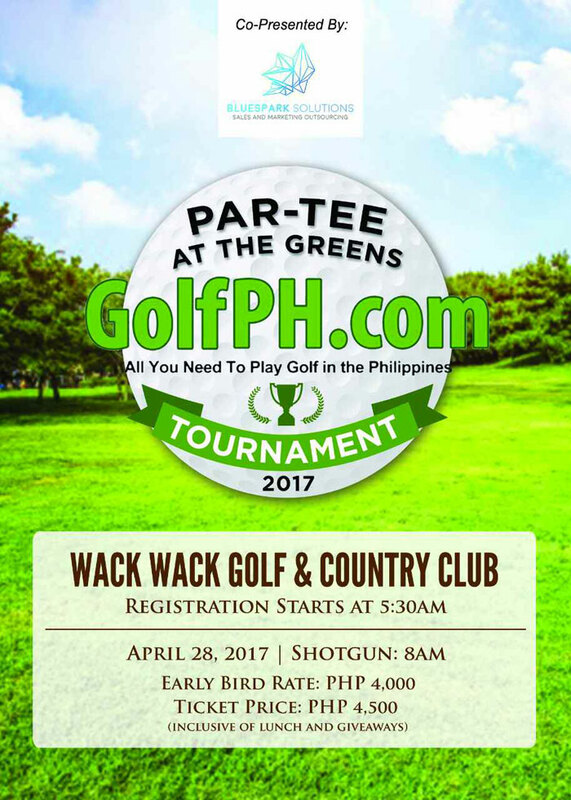 April 28, 2017 marks the date of the 6th Annual GolfPH Tournament, called Par-Tee At The Greens. This event will be held at prestigious Wack Wack Golf & Country Club, located in the heart of city. It is an amazing event for us as we gather players to support Love146. This organization directly works to help fight the battle to end child trafficking and exploitation through survivor care and prevention. Love146 is helping grow the movement to end child trafficking while providing effective, thoughtful solutions. Their program removes young girls here in the Philippines as well as the rest of the world from suppression. They receive a home in a safe house, training for a future trade as well as medical care to overcome drug addictions. We believe that there is hope for these girls. We hope you do too. This tournament is open to both GolfPH members and non members. It is a fun and unique tournament set up to inspire our golfers to interact with each other, get involved in the community and have fun doing something you love. Your tournament entry will dramatically affect our beautiful nation and we thank you in advance for attending. The set up of this tournament will be Shotgun at System 36 Format and we couldn’t be more excited to see you bright and early (5:30AM) on April 28. Price: Early Bird Php4000. Regular Cost Php4500. Inclusive of Lunch and Giveaways.